Doha, Qatar – April 8, 2017 – It was a very different Spring Break for Shakeeb Asrar, who spent his holidays working with displaced refugees in Greece. 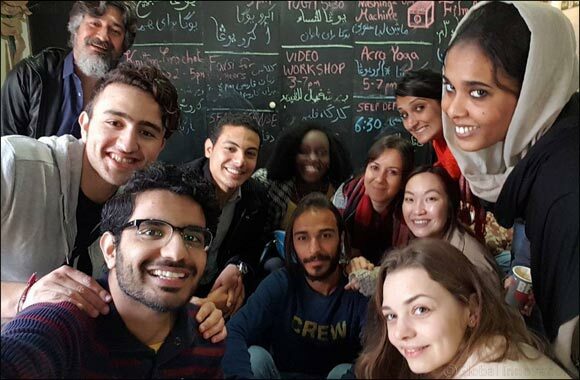 For 15 days, Asrar, a senior at Northwestern University in Qatar, volunteered to work with Syrian, Afghani, Pakistani, and Iraqi refugees seeking asylum from their war-torn countries. Working with them, Asrar was immersed in a social cause he has long been passionate about. Selected to participate in the Learners’ Voice Program, which is organized by the World Innovation Summit for Education (WISE), Asrar was challenged to rethink education through a series of workshops and on-the-ground activities. As a participant, he volunteered with Khora Community Center, an NGO in Athens, where he worked as an interpreter for Pakistani refugees, translating conversations at appointments, and text in legal documents. He was also involved in editing promotional and awareness videos about Khora’s charitable initiatives and refugee programs. In addition to exploring the challenges facing refugees, from their exodus to reception and integration in transit and host countries, Asrar also took part in a series of courses that were delivered by Yale World Fellows, and other experts to address key personal development, leadership, and communication skills. “The overall experience was overwhelming. There was so much to learn and absorb about the international refugee crisis on a large scale, but it was also very difficult to leave behind the personal relationships I built with some of the refugees I worked with, who really opened up and shared their life journey with me,” said Asrar. In addition to his NU-Q journalism degree, Asrar is also pursuing a certificate in civic engagement from the School of Education and Social Policy at Northwestern (Evanston, USA campus). He found the WISE Learners’ Voice Program a great opportunity to combine his passion for social change, education, and media. Candidates, such as Asrar, were selected from a diverse pool of over 1,000 international applicants who demonstrated a personal, professional, and academic commitment in the field of education. The program encourages the development of innovative reforms in education.